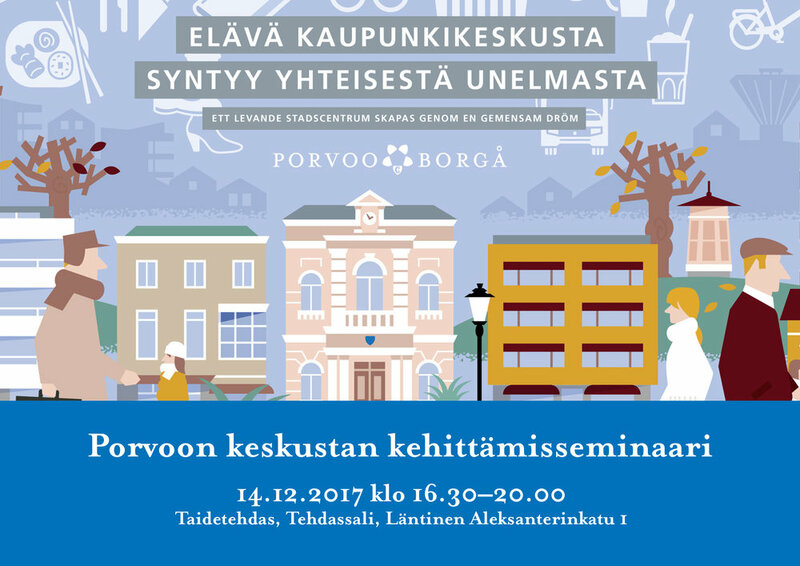 On Thursday 14th December, on the behalf of Uusi Kaupunki collective, Miia-Liina will be hosting a seminar on the development of the City Centre of Porvoo, Finland, together with Niilo Ikonen. The seminar is organised by the City of Porvoo in collaboration with the Living Centre of Porvoo association. Looking very much forward to presenting as well as hearing the other speakers, the evening is packed with interesting substance. What direction will Porvoo take in lifting up the central areas of the city? What should an attractive and livable centre look like in the future? The event is open for everyone and it is free of charge. The seminar is a continuation to our work last spring - check out all the projects here. You can find the entire program here.